I read this article and found it very interesting, thought it might be something for you. The article is called Retreat: Inner Peace Keeping and is located at https://www.ripaladrang.org/event/retreat-inner-peace-keeping/. What if inner peace was at the heart of the world’s cohesion? What if meditation was the beginning of a response to stop human conflicts? How can we contribute to bringing more peace on Earth? During this retreat, Amandine Roche will share the tools to achieve inner peace in a lasting joyful and playful way. The “Inner Peacekeeping” program is a retreat that helps combat stress, develop well-being and help reconnect the soul, body and mind. Created by a group of experts in yoga, mindfulness, emotional Intelligence, neuroscience and leadership, this innovative approach was first offered to humanitarian and refugee workers suffering from traumatic stress, depression, and anxiety before being offered to people working in companies. 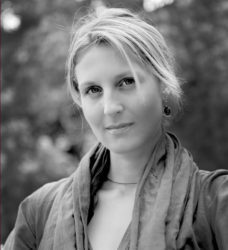 Amandine Roche became a hatha yoga teacher in India and studied meditation with great spiritual masters such as Amma, the Dalai Lama or Goenka. In California, she trained in Vinyasa Yoga and became a teacher in the Google Search Inside Yourself program. She has now developed the Inner Peace Keeping program, based on yoga, mindfulness, emotional intelligence, neuroscience, and conscious leadership. The Inner Peace Keeping program also implements the tools of inner peace with humanitarian aid workers, refugees, prisoners, soldiers in the Middle East and in Afghanistan.